• Online value proposition strategy - defining the value proposition for acquisition and retention to engage with customers online. Includes informational and promotional incentives used to encourage trial. Also defines programme of value creation through time - e.g. business white papers published on partner sites. • Online targeted reach strategy - the aim is to communicate with relevant audiences online to achieve communications objectives. The communications commonly include campaign communications such as online advertising, PR, e-mail, viral campaigns and continuous communications such as search engine marketing or sponsorship or partnership arrangements. The strategy may involve (1) driving new, potential customers to the company site, (2) migrating existing customers to online channels or (3) achieving reach to enhance brand awareness, favourability and purchase intent through ads and sponsorships on third-party sites. Building brand awareness, favourability and purchase intent on third-party sites may be a more effective strategy for low-involvement FMCG brands where it will be difficult to encourage visitors to the site. • Offline targeted reach strategy - the objective is to encourage potential customers to use online channels, i.e. 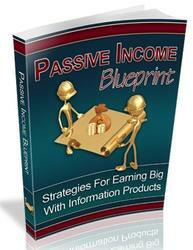 visit web site and transact where relevant. The strategy is to communicate with selected customer segments offline through direct mail, media buys, PR and sponsorship. • Online sales efficiency strategy - the objective is to convert site visitors to engage and become leads (for example, through registering for an e-newsletter or placing the first item in the shopping basket) to convert them to buy products and maximise the purchase transaction value. • Offline sales impact strategy - the aim is to achieve sales offline from new or existing customers. 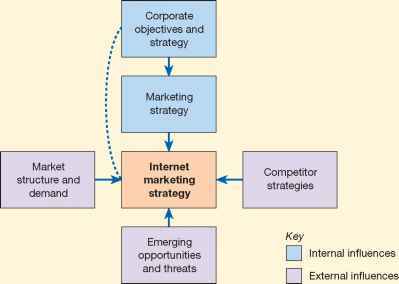 Strategy defines how online communications through the web site and e-mail can influence sales offline, i.e. by phone, mail-order or in-store.